With our personally tailored approach and years of experience assisting buyers in the Algarve, you can be confident with the quality of information that you will receive. Are you looking for dream property? 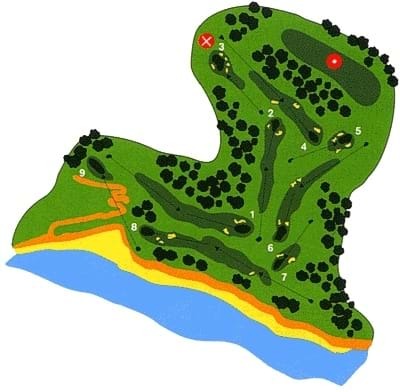 The Pine Cliffs layout, designed by Martin Hawtree, of the English firm Hawtree & Son, the same firm that designed the Cerregueira course, is located between Albufeira and Vilamoura, in an area called Praia da Falésia. Pine Cliffs is more than a golf course: it is a garden. It has only nine holes with a length of 2274 metres, and is a group of four par 3's, four par 4's and, according to the card, one par 5, of about 400 metres which in reality should be a par 4. However, it is an excellent hole. But the ex-libris of Pine Cliffs is the 9th hole, played over a ravine a few dozen metres deep, with a view over Algarve's vast, inviting sandy beaches. Nigel Mansell, who was the President of Pine Cliffs for some time, has given the club the glamour that normally surrounds the great sport stars and it gave him the chance to keep practising golf and retain his 4 handicap, between Formula One races. This well maintained course of nine-holes is located on the cliff top near Albufeira and managed by the adjoining Hotel Sheraton. The prize of the course is its ninth over a ravine with beautiful views down on the sandy beach, locally nicknamed the "Devil's Parlour". This small and beautiful course is set among the pine trees and presents a pleasant and charming course with good greens.